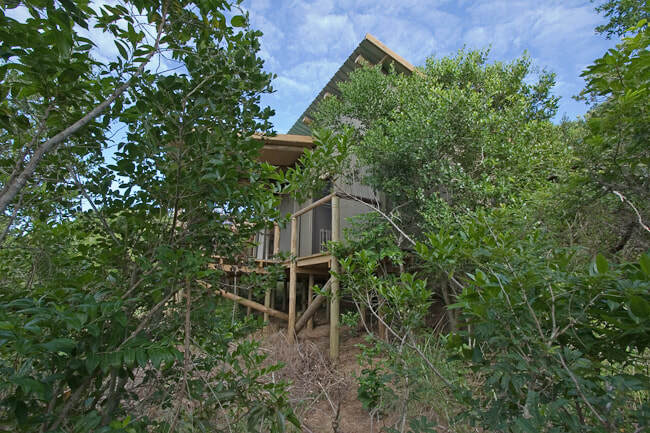 Part of iSimangaliso Wetland Park, a UNESCO World Heritage Site since 1999 and a Ramsar site since 1986, Rocktail Bay sits amongst the towering coastal dunes and lush coastal forests of the Maputaland Marine Reserve. Meaning "a miracle" or "something wondrous" in Zulu, the word iSimangaliso comes from when some of King Shaka's subjects were sent to the land of the Tsonga, and returned to describe the beauty that he saw as a miracle. 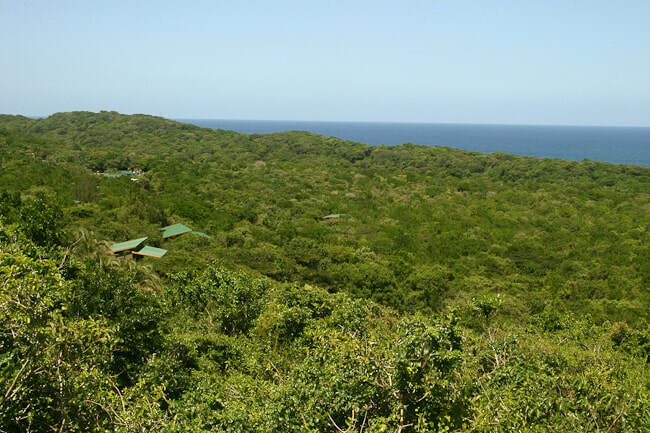 The biodiverse reserve combines untouched coastline with coral reefs, freshwater lake ecosystems, including South Africa’s largest freshwater lake, Lake Sibaya, coastal forests, wetlands, grasslands and woodlands. 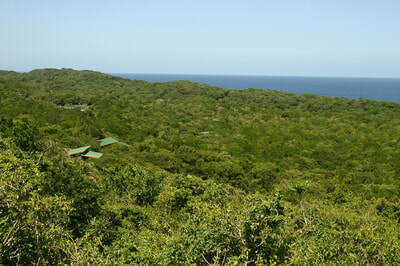 Getting to the place is an adventure in itself. 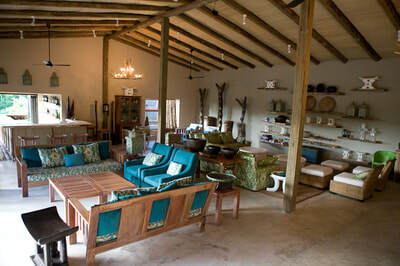 After driving four hours north from Durban, you pull into a car park at a small cashew factory and shop to be met by one of the guides from Rocktail Beach Camp and transfer to a four-wheel-drive open game viewer for a 30-minute drive along sandy tracks through the forest up to the coastal dunes, amongst the tallest vegetated dunes in the world and home to an array of wildlife and birds. 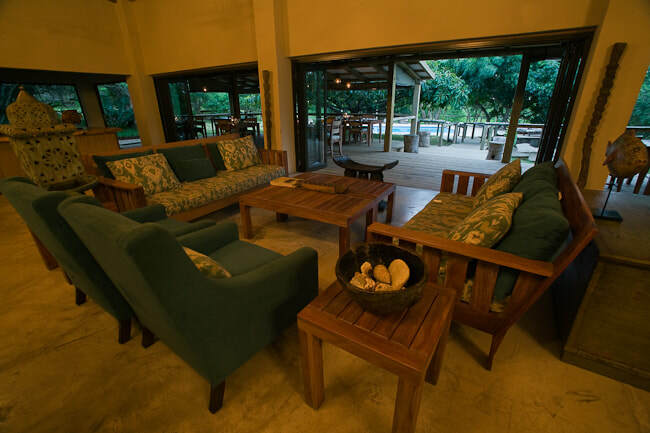 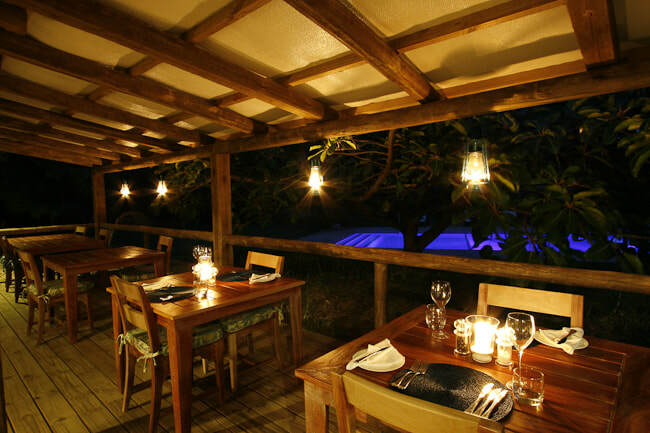 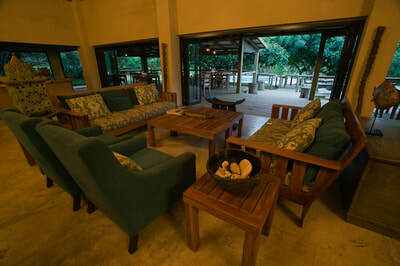 Rocktail Beach Camp has long been considered the premium dive lodge in the country, and it was easy to see why. 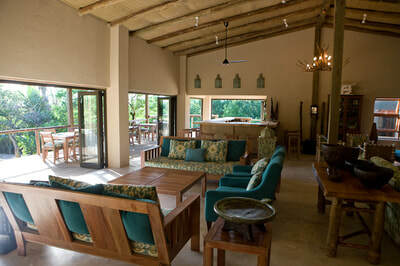 The open plan bar-lounge area, dining room next to the pool, wrap around veranda and raised viewing deck are simple but classy. 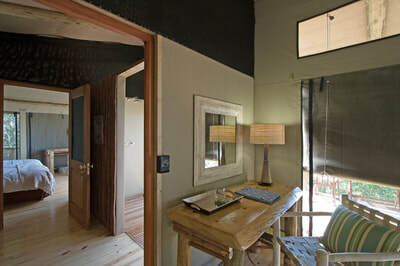 The rooms, of which there are 17, are tented suites with a sliding glass door set off a trail in the forest. 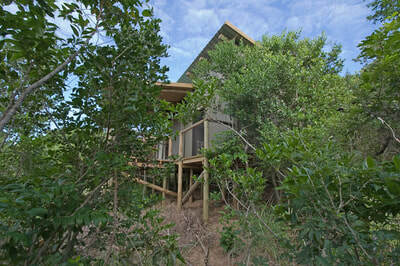 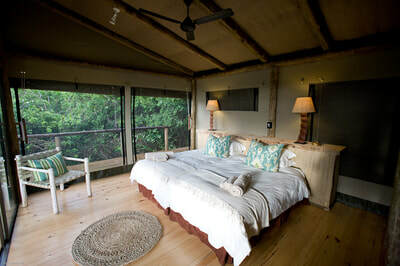 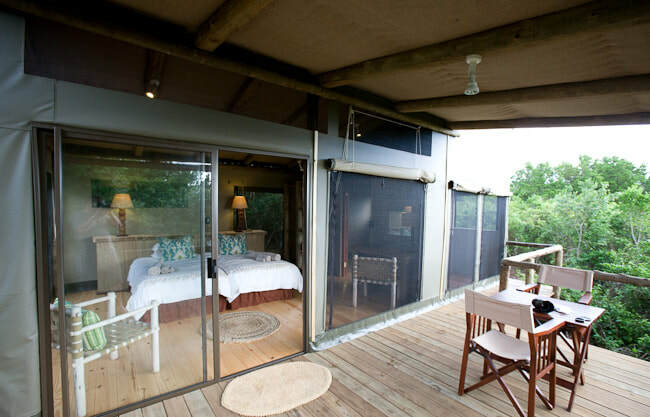 When the canvas is rolled up, the view from the inside of the honeymoon suite over the canopy to the ocean is superb. 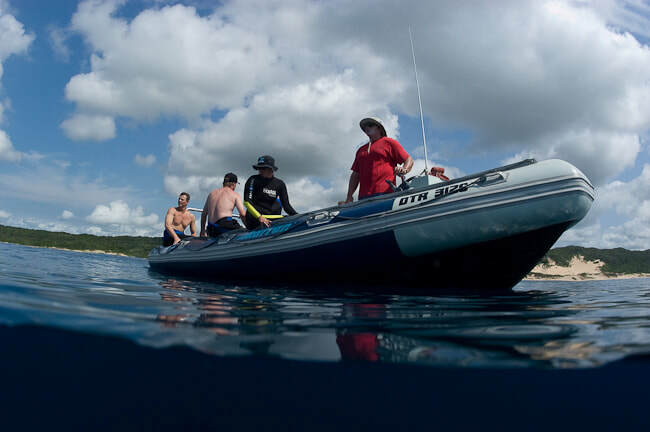 Going for a walk down the to beach, 10-minutes away at the end of the afternoon, you are likely to come across dive centre owner Clive, pulling one of their 7.2-metre RIBs out of the sea with a tractor, as you do in these parts. 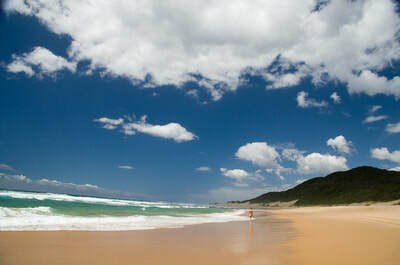 the beach will more than likely be deserted, stretching endlessly in both directions without a soul on it, golden and pristine. 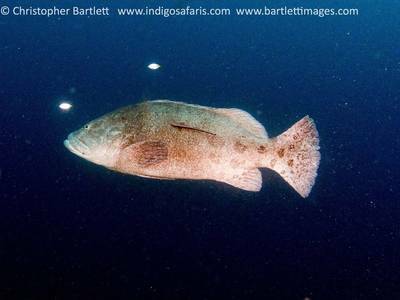 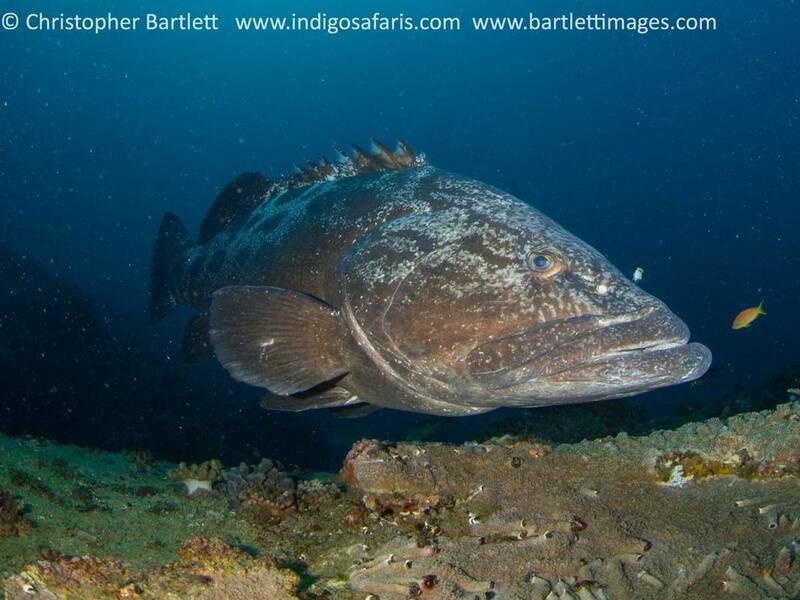 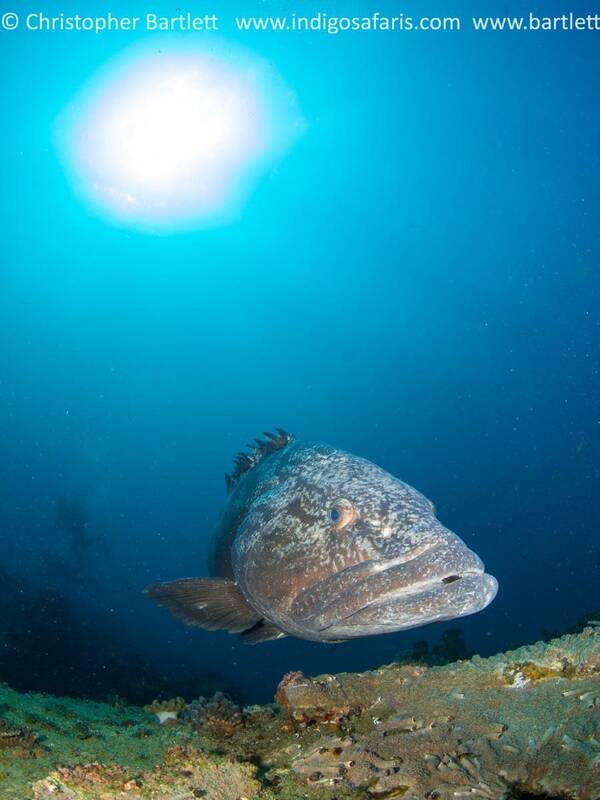 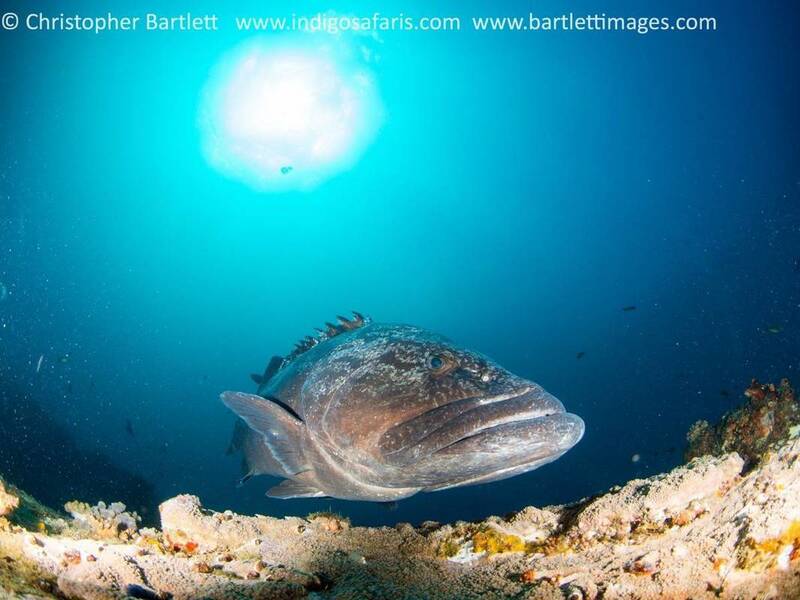 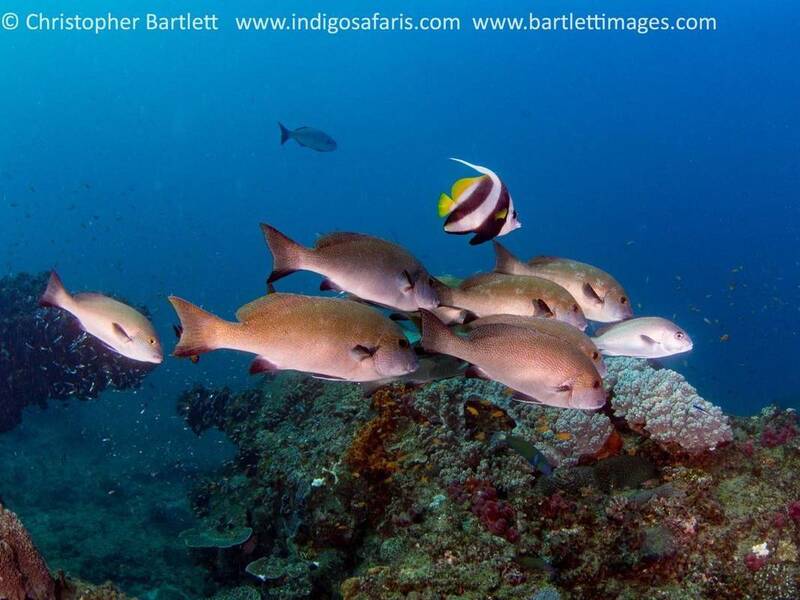 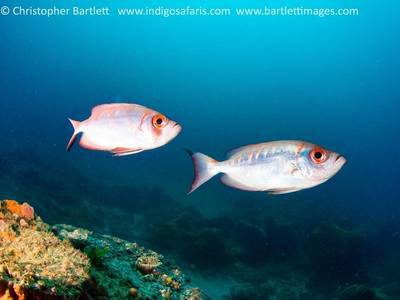 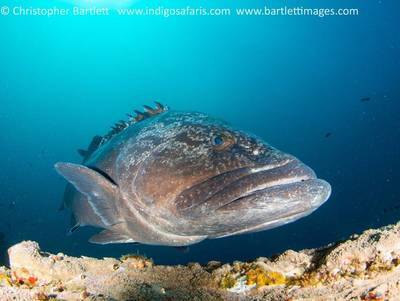 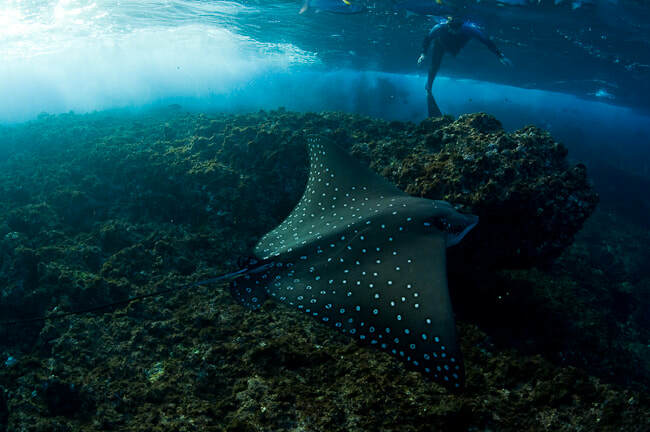 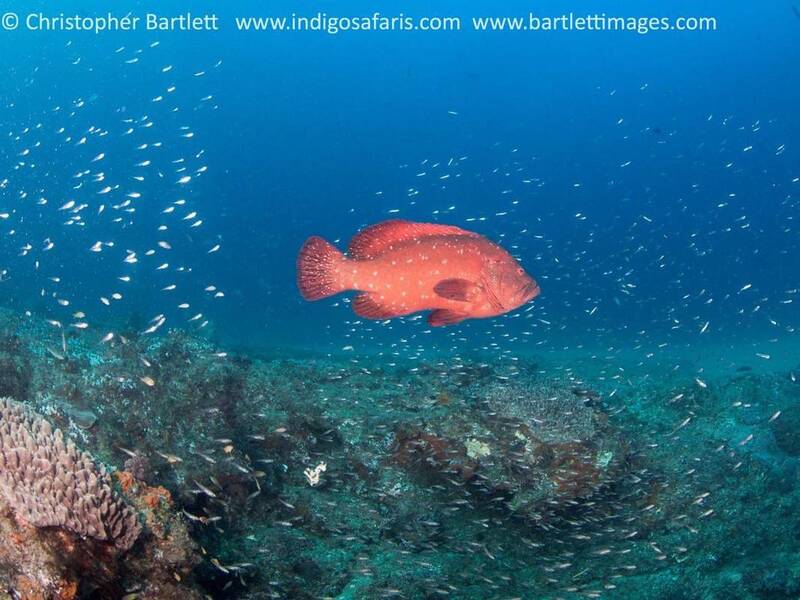 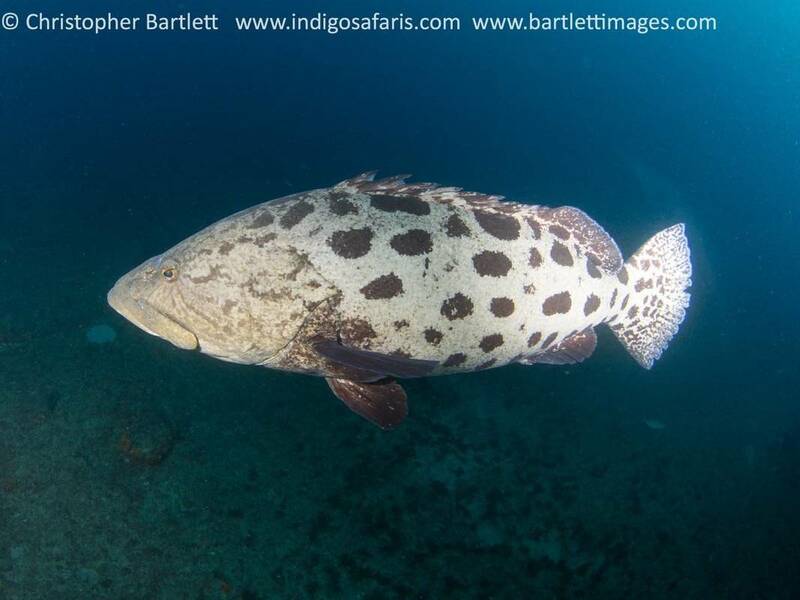 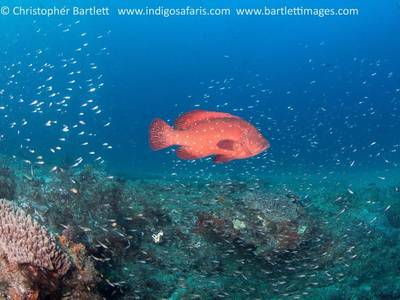 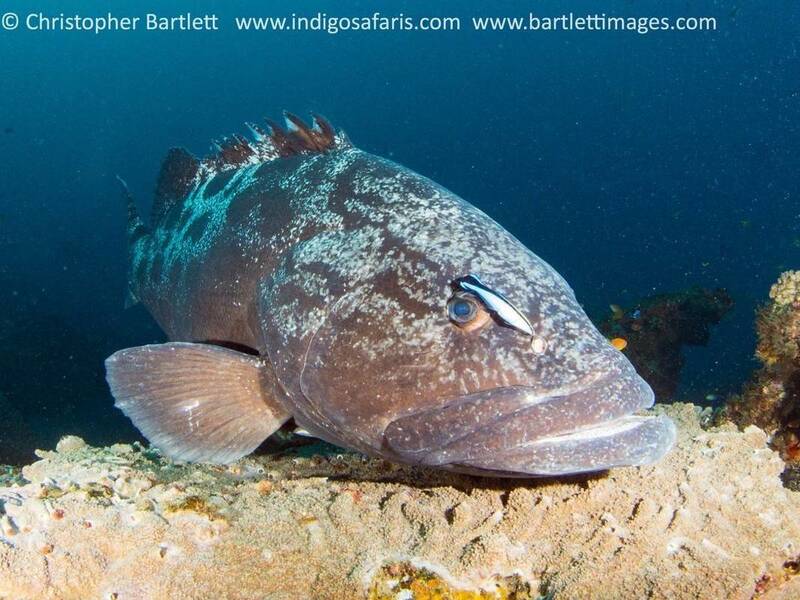 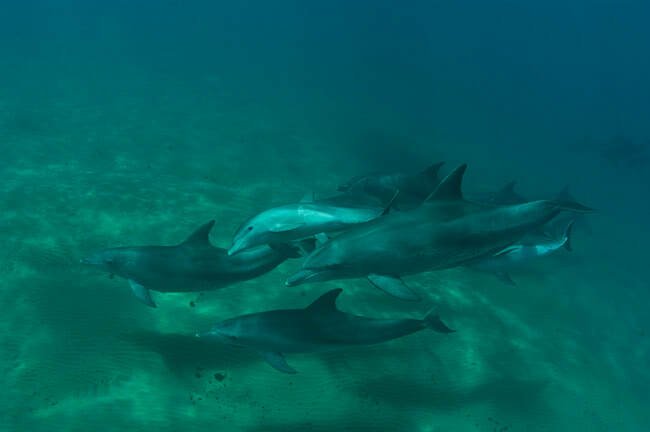 It is a stunning location, and offers diving year round as most of the resident fish remain on the reefs throughout summer and winter seasons. The main seasonal differences are water temperature and visibility and the special migratory humpback whale sightings. 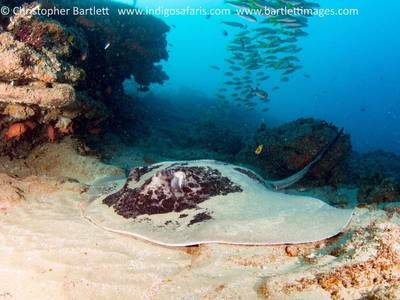 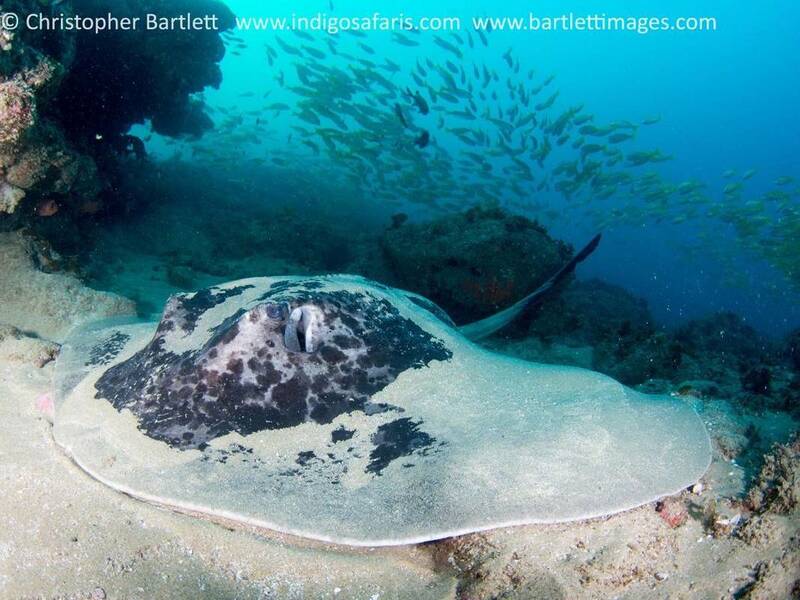 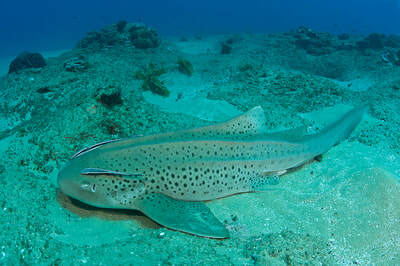 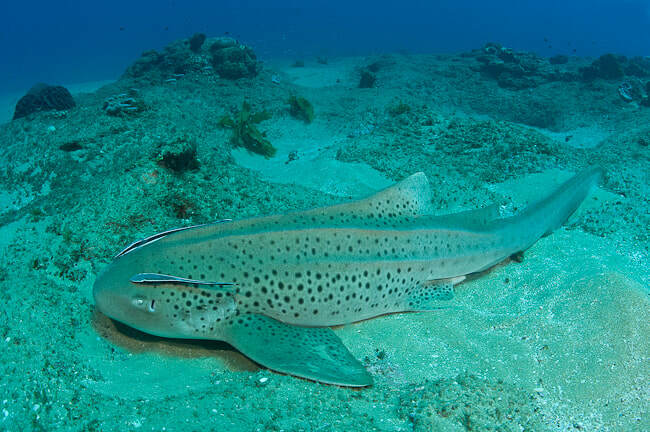 During summer months there is a noticeable increase in shark sightings, including grey reef sharks, zebra sharks, blacktip sharks, hammerhead sharks (scalloped and great), tiger sharks, white tip sharks; as well as ray sightings of guitar fish, round ribbontail rays, honeycomb rays, sharpnose stingrays, blue spotted rays and occasional butterfly rays. 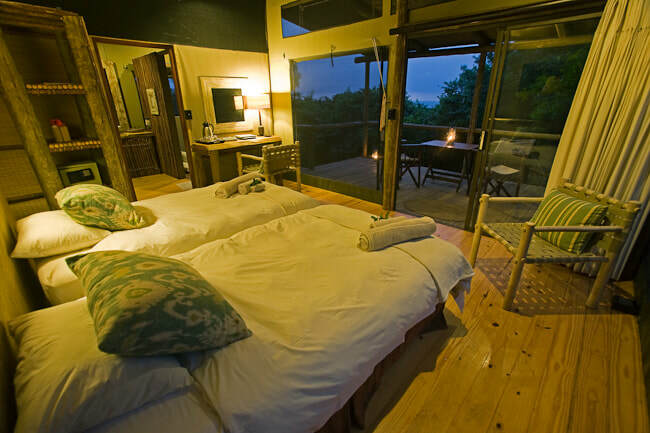 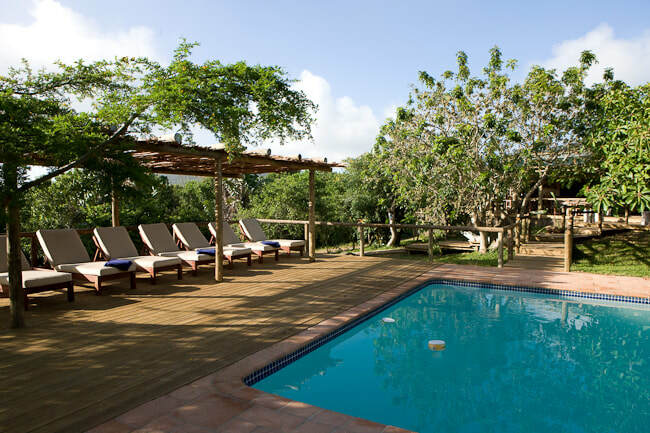 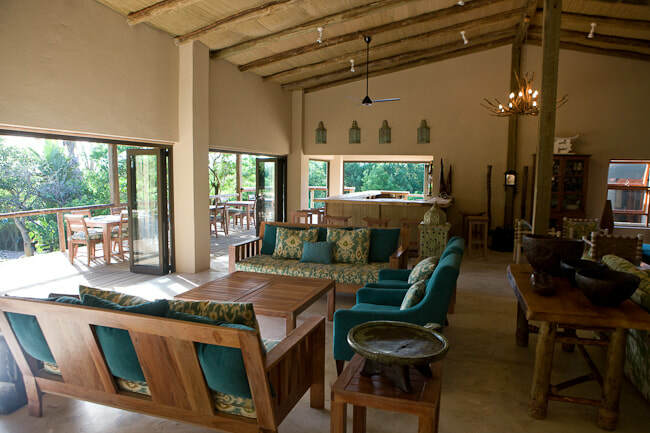 7 nights Rocktail Beach Camp, 3 nights Rhino Ridge Safari Lodge and 2 nights White Elephant Lodge including 10 dives and 2 daily shared activities on safari plus car hire. 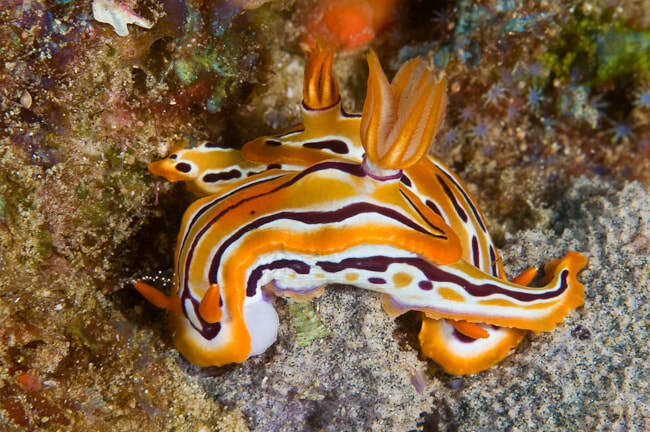 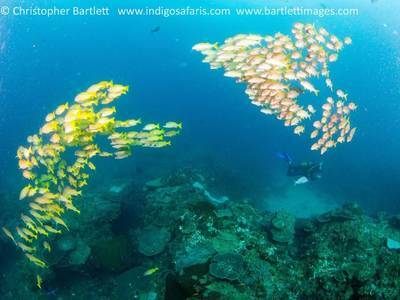 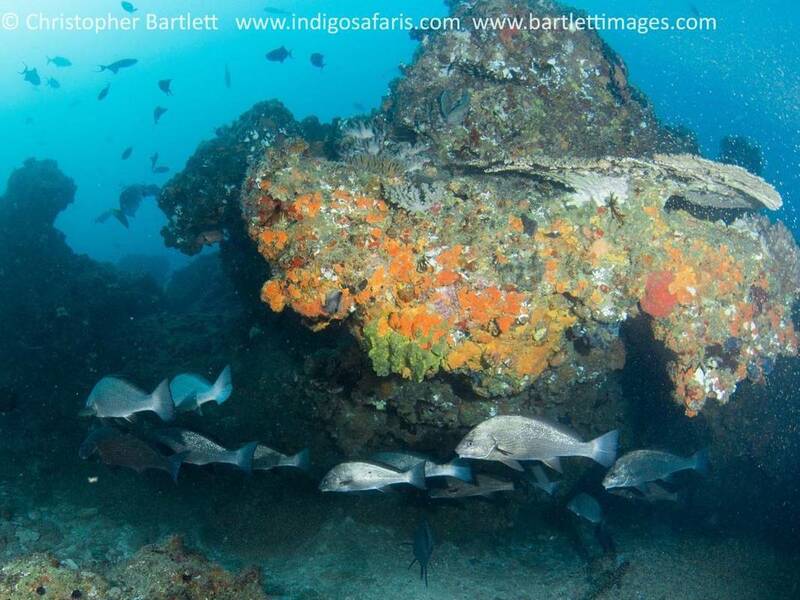 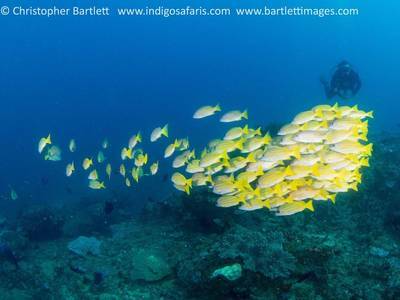 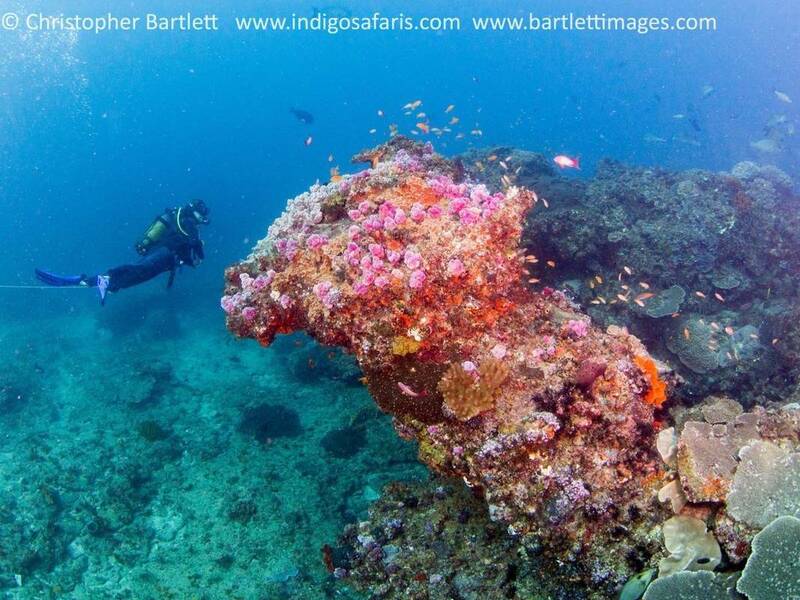 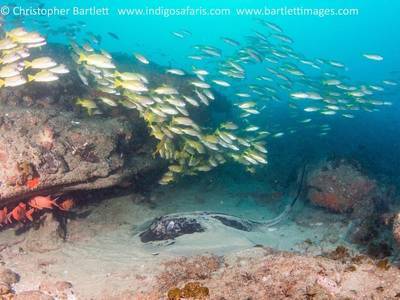 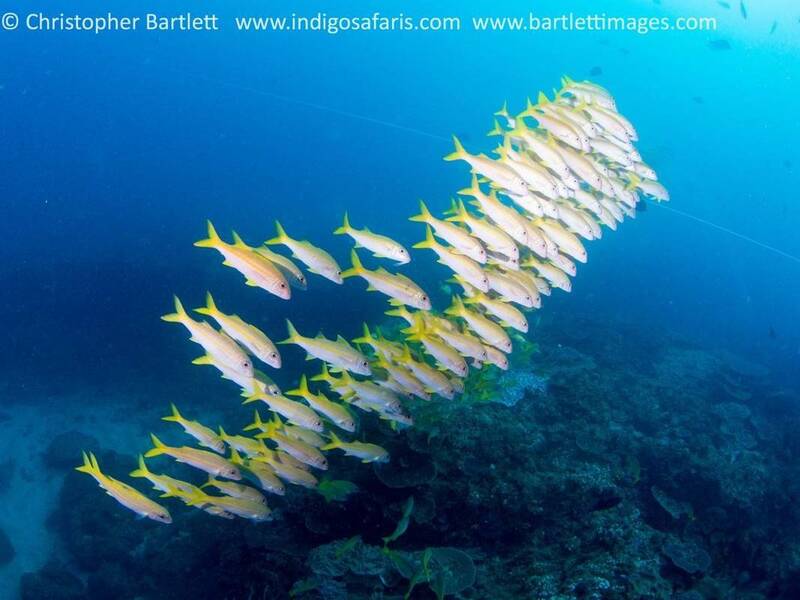 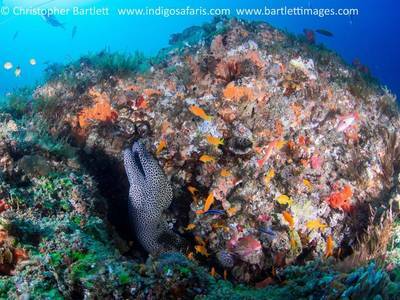 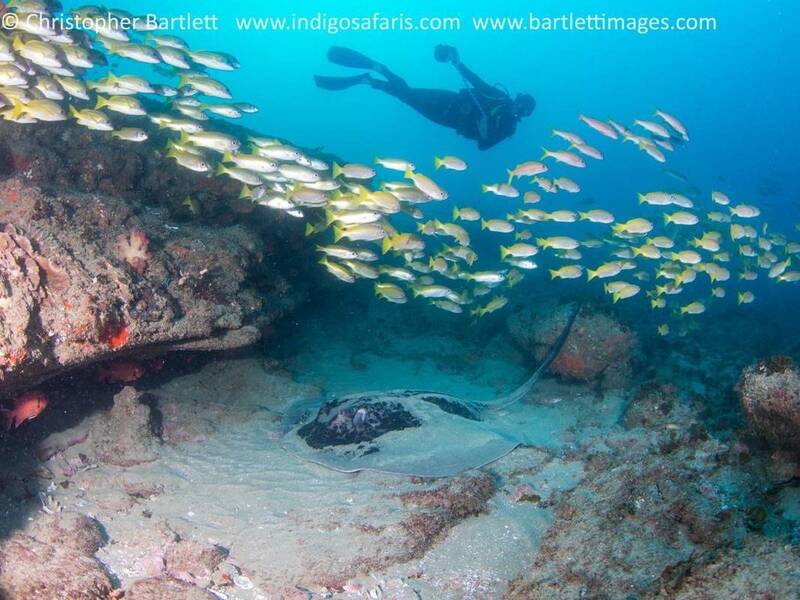 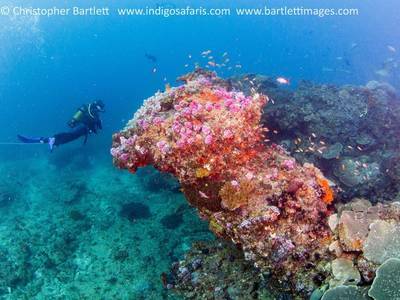 including 12 dives and 2 daily shared activities on safari. 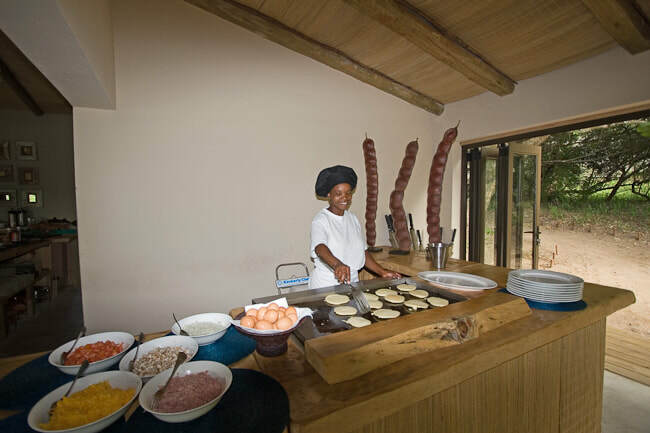 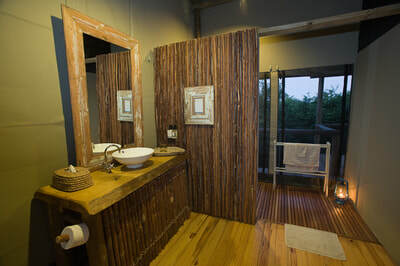 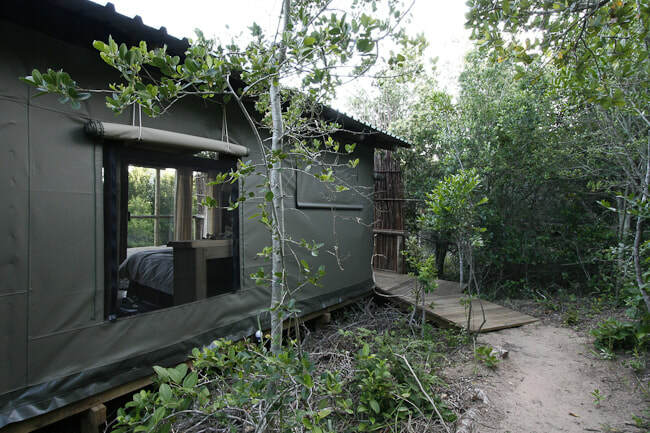 7 nights at Rocktail Beach Camp, 2 nights at Elephant Plains Lodge in Sabi Sand and 3 nights at Lukimbi Safari Lodge including 12 dives and 2 daily shared activities on safari.